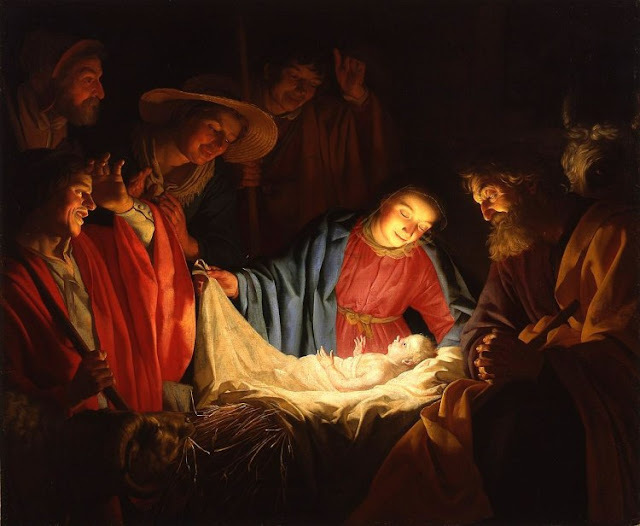 This is part 3 of a series looking at the Western Christian year (liturgical calendar). For other posts in the series, click a number: 1, 2, 4, 5, 6, 7, 8. Many churches celebrate the birth of Jesus, the Light of the World, in a Christmas eve candlelight service (Christmas Vigil). As with all worship services during Christmas Season, this one views the birth of Jesus in the light of all that our Lord has done and is doing for our salvation. This underscores the importance of seeing each celebration in the Christian year as part of a unified whole---the full gospel story. As noted in the introduction to this series of posts on the Christian Calendar, the annual liturgy provides a powerful means by which we are enabled to inhabit the story of God, thus making it our own. For a GCI Equipper article on how liturgy shapes our worldview, click here. Christmas Season is thus a powerful reminder that what we humans could not attain because we could not raise ourselves to God, the Word of God (God's eternal Son) attained by descending to us---becoming one of us---Emmanuel, God with us. During Christmas Season, we celebrate both the mystery of God becoming human and the mystery of our own person united with Jesus, and through Jesus united with the triune God. Glory to God in the highest! Christmas also reminds us that the wonderful exchange is all of grace---a gift we could never earn or deserve, one that accomplishes what we could never achieve---union and communion with God. Given this wonderful, mysterious truth, Christmas Season is a time for both great rejoicing and for quiet contemplation---great thanksgiving coupled with profound humility. Through these spiritual disciplines, we enter more fully (embrace more completely) the union we have with Christ by the Spirit as Jesus, at Christmas, is born anew by faith in our hearts.